Omaha locals More than Blood recently took the time to answer our questions as part of our Spotlight Omaha Q & A series. 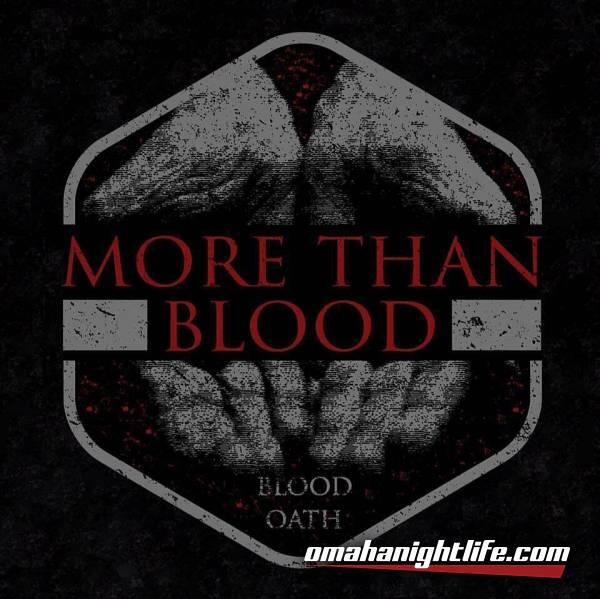 Who are the members of More Than Blood? How did you come up with the name? Martin: Jon originally suggested more than kin and I liked it, but wanted to take the same meaning and make it sound heavier – so I suggested More than Blood. Has the name of the band ever changed? No. When did the band officially form? Martin: Around July of 2015. What inspired the band to make music together? Martin: Tristan and myself had played a lot I'd shows together with our other bands and one day decided we wanted to collaborate together and see what we could do. How long have you all known each other? Martin: I’ve known Dave for around 9 years, and Tristan for at least 4. Jon and Jack maybe closer to 3. How did you all meet? Martin: Met Tristan and Jack through playing shows together in our other bands (Splitline , Nevermind the riot). I believe we all met Jon from his time playing guitar for The Impulsive . What genre of music do you consider you work to be? Martin: I consider us Metalcore. Who writes your songs? Martin: The songs generally come from parts of songs Jon or myself already have in the works. It seems that most the time, if I write a song, I write it all and same for Jon Until recently we have been working a bit more of group writing rather than independent. What are the main themes/topics for most of your songs? Martin: Several songs main themes and topics for me stem from casualties suffered through the rotten hell life can be at times. But a few are quite the opposite for example "Here Tonight" was more on the opposite side of the spectrum, showing how at times what seemed to be the end could really just be a bump in the road when focused on and worked on. Who are your major influences? Martin: My biggest influences are Tool and Alice In chains. Also worth noting, killswitch engage, A perfect circle, trivium, slipknot, all that remains, a day to remember, the used, sevendust, bullet for my Valentine, and Coheed and Cambria. Where has your band all performed? More than Blood has performed in a ton of venues around the Midwest so far, and we’re looking to add more in the near future! What is your favorite venue/s? Jon: My favorite venue (that is still around) would have to be The Waiting Room Lounge here in Omaha, NE. I’ve played there a lot and it just feels like home. That, and the sound quality is pretty tough to beat. Do you have any upcoming shows? Jon: - We do have an upcoming show that we’re putting together called Monsters & Masks. It’s a Halloween event inspired by a song I wrote by the same name. When and where are those shows at? Jon: The show runs from October 27th – October 28th at Wired Pub & Gril (formerly Shamrocks Pub & Grill). Tons of local and regional bands will be playing! What is your favorite and least favorite part of performing/touring? Jon: My favorite part of performing is honestly just moving around. Rocking out on stage and interacting with people, getting them to get as hype or even more than I am? It's the best feeling in the world. My least favorite is performing on small stages or being backlined on a big stage and performing in a small space anyway. There's no room to mosh! What is it about performing live that really does it for the band? Jon: I can't say I for sure know what "it" is when you say "what does it" for the band but I imagine you mean what makes it special? Or enjoyable? Being close knit with the people you share that experience with is what makes it all worthwhile. Melting faces with your brothers at your side, making music and putting out your message together; that's what does "it." What are a few goals you have as a band? Jon: Goals as a band? Where do I begin? Touring, more endorsements and signing away our souls to the dark lord for one hell of a record deal, haha. Or something like that. We just wanna take this life by the reigns and this seems like the most enjoyable way to do just that. The idea of money, fame and success is nice and definitely a desire but, all good things come in due time. What would you be doing if you weren’t playing music? Jon: If I wasn't playing music? I'd probably be pummeling someone's face in while in an Octagon or something. I was an MMA Fighter for 2 years with a promising future in the business so to speak and Bondeye knows I miss combat. What has been your biggest challenge as a band? Dave: Coordinating schedules seems to be a recurring problem in any band I've been in. Have you been able to overcome that challenge? If so, how? Dave: Eventually you find a way and do what it takes to get it scheduled if it's really something that is priority to you. Whether that means you wake up extra early before work or you play late and piss off the neighbors. What do you think about the music scene in general with the Omaha area? Dave: The scene in Omaha somewhat seems like a popularity contest but ultimately if you have what it takes to really turn heads, you can break through that and gain respect as a musician. What do you think about the Omaha area crowds/fans? 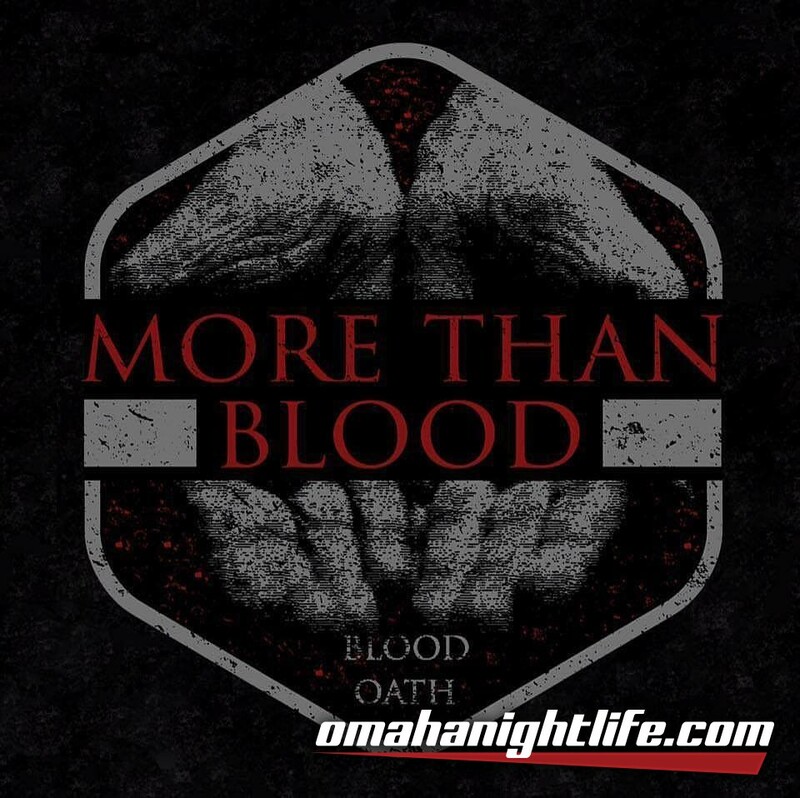 Dave: The metalheads (term of endearment) in Omaha are some of the coolest and most respectful people, however sifting through the non-metalheads to find them and get to them can be challenging at times. One big thing that bugs me about the Omaha scene is that it seems once it's a certain time at night, everybody jumps ship early, leaving the headliner with half the crowd and scratching their heads and asking why. What advice do you have for people who want to form their own bands? Jack: Make sure you find people you don't mind bring around, listen to one another and good communication. What Band/song is getting the heaviest rotation for you on your off time? Tristan: Right now, Threat Signal – Trust In None. Martin showed me this band when we first started MTB, and now they’re coming out with a new album. I love their stuff! What is your ultimate direction for you band? Tristan: Ultimately, we want to be able to play music for a living. It’s our passion, so I think we’d all agree that being able to support our families off of that would be pretty cool. Are you seeking fame and fortune? Or is this more of a hobby? Tristan: More toward fame and fortune. Not to sound greedy, but we’d love for this to be our full-time job. It gets complicated with all of us having day jobs and families to take care of, but we work hard and play harder (when we’re able). What are your rehearsals generally like? Tristan: Our rehearsals are pretty standard I think. We run through our set, work on covers and new songs, and have a good time. It gets a little crazy sometimes, but we love it. Do you have a set time each week in which you practice or are rehearsals more spontaneous? Tristan: This is a loaded question. Most of the guys work second shift or strange hours, and we’ve got rotating days off as well. Right now, we do Fridays at midnight, but if you asked me in a couple weeks, I might be saying Tuesdays at 3PM. We try to get one in every week so that we can nail down new material. What was your inspiration when you were writing the song Artificial Memory? Martin: I wrote the song when I had been trying to restore my hope in something that I told myself was great. Artificial Memory came to mind one day when I felt a lot of doubt on the topic. Started asking myself was it even great? Was it really how I remember It? Or did I just tell myself that. I felt maybe I had fabricated a memory to convince myself it was worth fighting for. What is your favorite color? Jack: My favorite color is Orange. What would you choose to be your last meal? Jack: Probably a large stuffed crust double pepperoni pizza. What’s your favorite movie? Jack: Too many great movies out there to choose from.